I know I’ve mentioned it before, but this pregnancy is taking all of my energy! I still want to get ready and look nice (I try to at least) 😉 but don’t want to put in a ton of effort and use all of my energy. 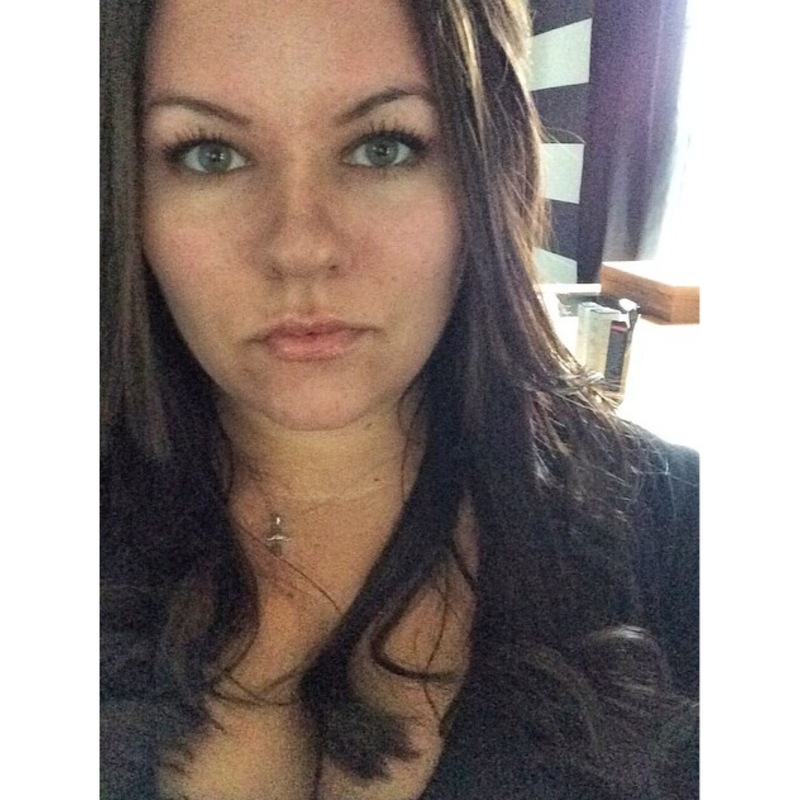 I’ve resorted to really simple hairstyles (including the infamous sock bun) and easy makeup looks that can transition from day to night with little effort. 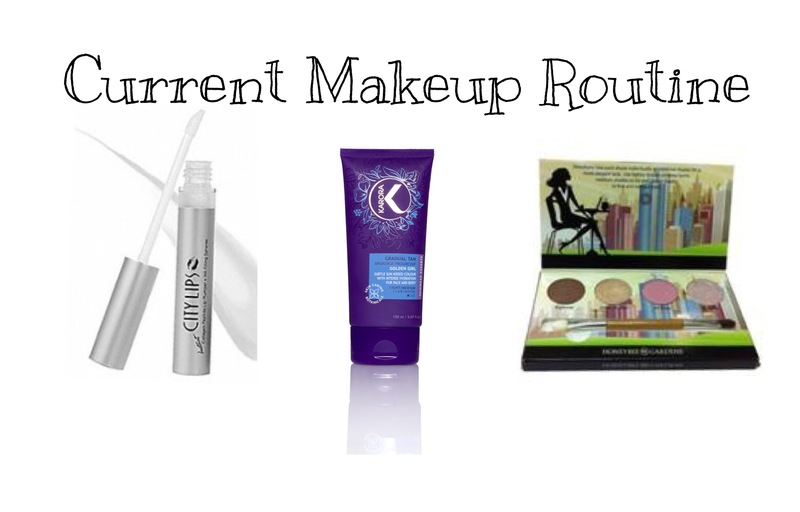 I’ve made a small list of my current go-to makeup that I’m loving and use on a regular basis. I always start with my foundation/concealer or cc cream. 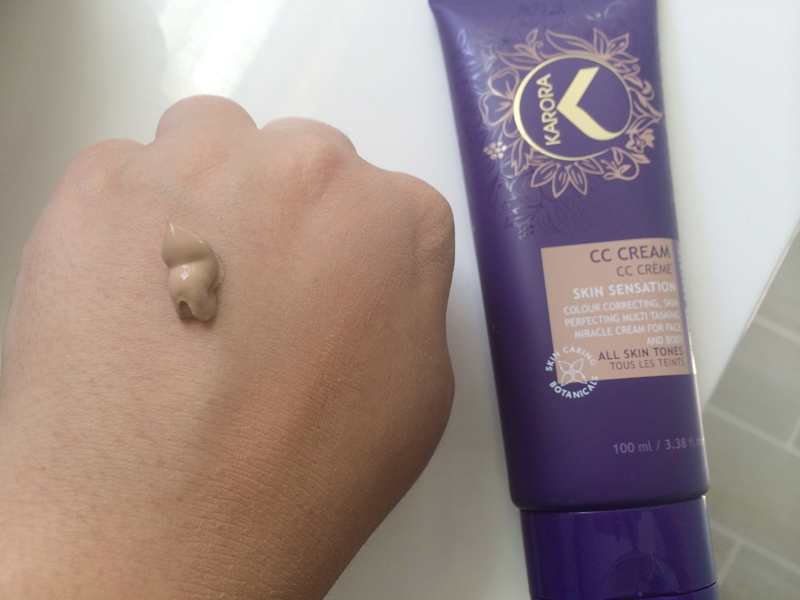 Lately I’ve been using a CC Cream from Karora. I found it on Ulta’s website, it had really good reviews and being new to CC Creams, positive reviews were a must! 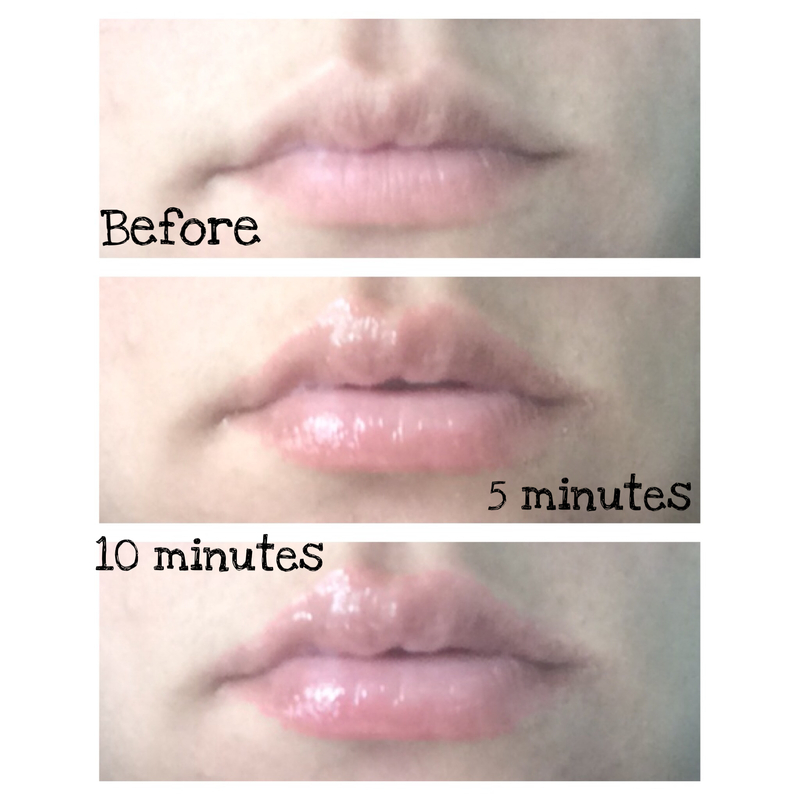 Pros: lightweight, blends well, smooth, long lasting and looks natural. A little goes a long way with this for light to medium coverage. Best part about it? 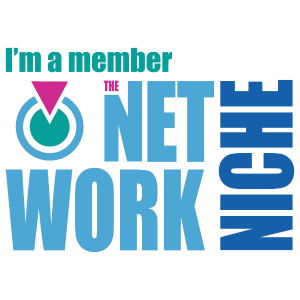 It’s not just for your face, great to use on your entire body! This is meant for all skin tones, I still have a tan from my vacation last month so the color matches my skin perfectly. It evens out my skin and leaves a flawless finish. My favorite makeup to buy is always eye shadow! 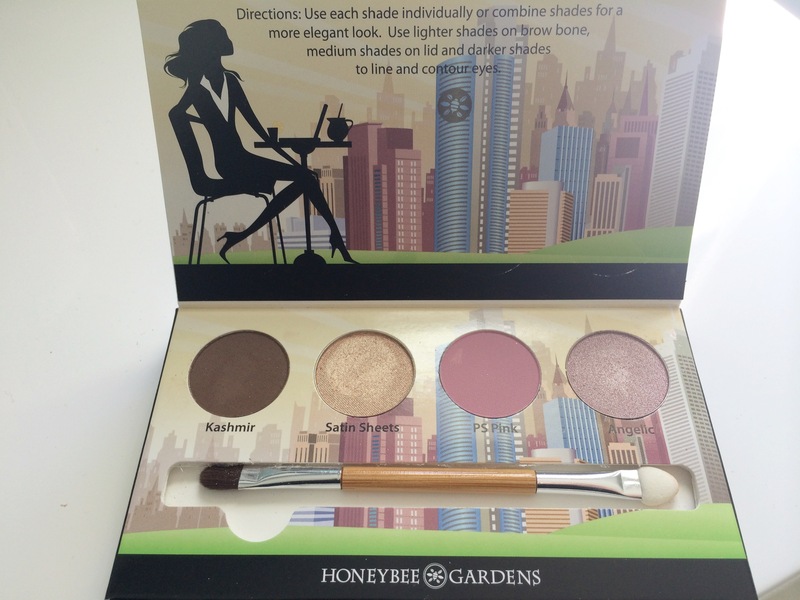 I use the Honeybee Gardens Cosmopolitan Eye Shadow Palette. It’s packaged in a recyclable palette, with a small bamboo brush which is eco-friendly and cruelty free, that’s always a plus with me! It contains four colors that are so easy to wear day or night. During the day I use Angelic on my brow bone, Satin Sheets all over my lids, and PS Pink in my crease. To enhance it for more of a night time look (or going out look) I add Kashmir to the outer V of my lids. I always use different mascaras, I haven’t found one I’ve loved lately and finish with black eyeliner. Above, my finished look using the mentioned products! Next Post 5 Tips For Flawless Makeup!